Ardleigh and Dragon in Hornchurch, Romford is one of those restaurants you have to either know about, be told about, or stumble across to really appreciate the beauty and fresh flavours inspired by Thailand. Housed in a former pub that wasn’t really the type of venue that attracted savoury types, Orchid Pubs and Dining took over the site over seven years ago and have done a sterling job of making it a fine pub and restaurant to visit. What’s that you say? It’s a pub and a restaurant? Yes, that’s right. When you arrive, that’s made clear from the start, with “English pub” one one side of the building and “Thai Dining” on the other. 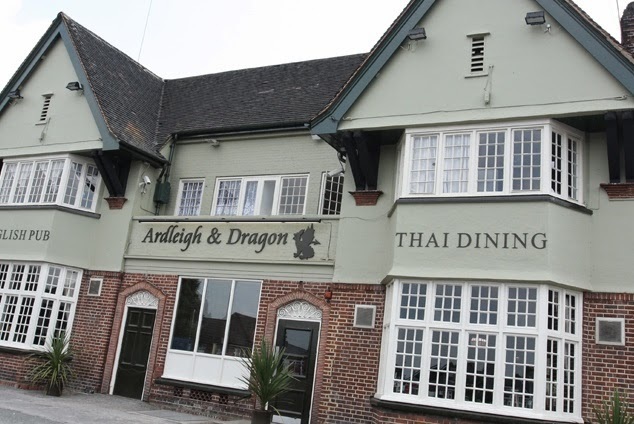 Make no mistake that the Ardleigh & Dragon intends to give its customers an authentic Thai dining experience in an English pub, with an Oriental theme throughout. I lucked in whilst walking through Spitalfields one night. I wanted to grab something to eat after attending a seminar at the Truman Brewery offices of the media agency I used to work at – LBi. Not much open at 7 in the evening en route to Liverpool station apart from a whole plethora of foods I didn’t want to consider (first name fast – second name food). 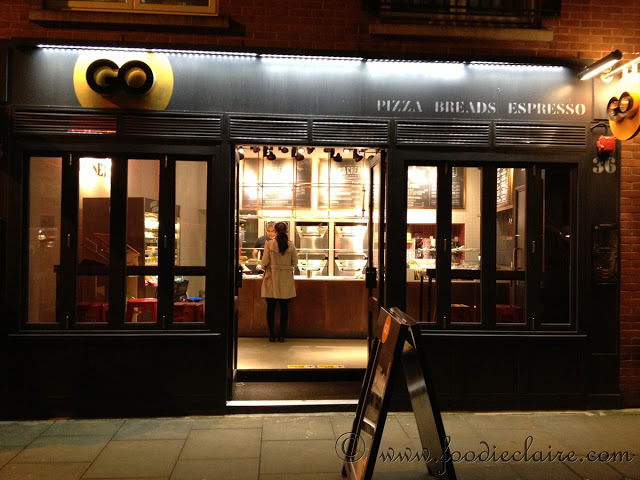 I stumbled across GO, peeked in the window and saw that they served Monmouth Coffee – well that’s got to be good hasn’t it? It’s a sign (literally)! Friday is Fish and Chips day. Right? It’s a well known FACT! I didn’t want stodgy fish and chips for my lunch on Friday but I did want a fish finger sandwich, and I knew where from. Marks and Spencer. Sounds odd right? But M&S’s Café on Long Acre does serve some decent food, and I knew they did fish finger sandwiches. So how disappointed was I when I turned up to join a long queue and then didn’t see said sandwich anywhere on their menu? And Marks and Spencer why the hell don’t you have the café menu’s published on your websites? FAIL! Avocado Egg Roll Recipe | No Mayonnaise! Just Avocado, Egg and Seasoning! I don’t know what it is about avocados. I just love them – seriously. I know they are only supposed to be good for us in moderation (as all things are). They are supposedly fatty – but healthy fats (so I keep telling myself). I have a whole list of avocado recipes I’m dying to try – in particularly a very special one which I won’t reveal right now. For today – I introduce you to a quick lunch favourite and an alternative of Egg Mayonnaise sandwiches – another recipe I like – except mayonnaise – deathly mayonnaise. So bad for you – and even when you buy a low fat one, the cynic in me thinks “what have they replaced the fat with?”. The only thing I use mayonnaise for these days is coleslaw – because there really is no other alternative (anyone that suggests putting salad cream in coleslaw should be shot).